Raised in the Bronx River section of the South Bronx in New York City, He grew up in one of the poorest communities in the Bronx; with many abandoned buildings and vacant lots; the crack epidemic was particularly prevalent during this time period. Raised in a single parent household, He discovered his love for hip-hop at the age of 10. Deniro is the youngest of 2 children and is of West Indian, Latin American & African American descent. During the mid 90’s which many consider the “Golden Era” of Hip Hop; Deniro began listening to the radio (KISS FM, WBLS & Hot 97) and various artists on cassette and CD. As Deniro listened he began to recite many rhymes word for word with great skill and precision. These influences began to have a direct impact on Deniro Black’s skills as an MC when he began to write his own lyrics. Deniro would perform his own material in front of his uncle Derek "D-Pro" Thompson, who would later serve as his mentor and business partner. Seizing upon this opportunity as there were very little unsigned artist working on an independent scale; Deniro and “D-Pro” formed their own independent label; Arsun Records in 1999. During Arsun Records early years Deniro Black took a significant interest in the production and engineering of his own music. Spending extensive amounts of hours each day learning programs such as Fruity Loops and N-Track Studio along with rapping and producing came the start of writing, recording and engineering his own albums. He quickly recorded his first album Chairman Of The Board under the Arsun Records label in early 2000.Though never released this was Deniro Black’s first album recorded and engineered at his very own home. He would begin to establish his skills as a producer, while continuing to build on his lyrical delivery as an MC. Working on projects outside of Arsun as well, Deniro Black also affiliated himself with neighborhood rap group Corporate Gangstas in 2001, during his tenure in Corporate Gangstas he would collaborate with other MC’s most notably Cory Gunz a neighborhood friend. 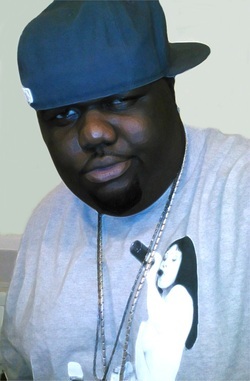 Over the later parts of 2002 and 2003 he would go on to produce and record over 60 songs with various independent artist and record labels. In 2005 Deniro Black released his first album titled Bronx Boro Prezident Vol. I under the Arsun Records label. The Bronx Boro Prezident Vol. I release would be different in many ways for him as a budding artist; it would be the labels first digitally downloaded album through CD Baby's online distribution. He would also seek the assistance of his childhood best friend Quan "The Executive" Hampton to help shape and define the labels musical production and sound for the future. He felt even more emboldened to see his way to success releasing The Morphine Mixtape which contained a few original songs along with freestyles over some of the hottest beats from various artist. In the coming months he with the help of D-Pro and now in-house producer The Executive would begin to write, produce and record his third project Bronx Boro Prezident Vol. II, released in 2006 through physical and digital distribution. In 2007 he would add his second mixtape Hottest MC's In The Game - Freestyles. Shortly after Deniro Black sought to elevate Arsun Records in favor of more realistic instrumentation and sound. Keeping these principles in mind Arsun Records released Deniro Black’s third album The House That Black Built. This release would show the labels new production tools and studio engineering, a true progression from earlier released projects. In 2008 co-founder of Arsun Records Derek "D-Pro" Thompson passed away suddenly of an illness. Upon news of his passing this would ultimately delay and place his upcoming project The Black Report on hold. Spending significant amounts of time away from the studio; unsure of whether to continue recording, Deniro Black pursued the guidance of his close family and friends. After being over a year hiatus from writing and recording, he felt compelled to carry Arsun Records to the forefront of the music industry. With a return to the studio Deniro Black would record Million Dollar Dream a collection of previously unreleased tracks and concept songs in preparation for a more quality future project. Looking to expand on the Arsun Records brand, he launched ArsunDigital.com in 2009 with his first independently distributed release Walking On Water. This gave way to a streamlined promotion of music to fans and industry listeners, as well as social media outlets such as Twitter and YouTube. In 2011 Deniro Black released American Roulette, a series of digitally released EP’s produced by Deniro Black exclusively. On May 30, 2012 Deniro Black released The Diamond District EP his fifth independently distributed album. Delivering superior lyrics over original beats produced by himself and longtime in-house producer The Executive have intrigued industry insiders, artist and muti-platinum producers alike. He and The Executive are currently working on his latest project Black Diamonds The Executive’s first solo production project. Priding himself on making superior music and perfecting his craft; Deniro Black continues to raise the bar lyrically and creatively. He has written, produced and recorded over 300 songs to date, released several projects on various scales and has performed at venues throughout New York City, with stops at the legendary club "The Bitter End". Deniro describes his music as lyric driven hip hop with a cinematic twist. Some have also described his style as a mixture of ferocious flows with heavy wordplay and slick metaphors. As Deniro Black began writing his own rhymes he was influenced to do so by rappers like the Notorious B.I.G, Big Daddy Kane, Snoop Dogg, Jadakiss, Nas and Jay-Z, Rakim, Big Pun and Dr. Dre. He is also an avid listener of R&B, 70’s Soul.